Slamdance Film Festival announced its Morning Coffee Master Classes - a series of intimate public conversations with world class, visionary artists and filmmakers. This year’s series of classes features musician/filmmaker Neil Young and filmmaker Jonathan Demme in a rare public dialogue about their lives and artistry, and their unique collaboration creating the documentary "Neil Young Journeys," which will have its U.S. premiere at the 2012 Slamdance Film Festival, Park City, Utah. Sunday Jan. 22, 11 a.m. – 1 p.m.: Coffee with Neil Young & Jonathan Demme, in conversation with filmmaker & Slamdance Director Paul Rachman. Here's a clip of the upcoming film Neil Young Journeys. (Also, titled Neil Young Life). 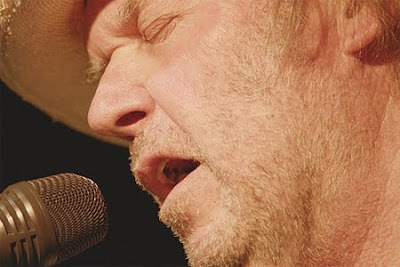 Report from Neil Young Journeys Film Premiere in Toronto. do you happen to know what concert that clip of Neil singing Ohio was from? It's interesting to compare Neil's voice now with say 'Ohio' from say Massey Hall January '71. He would have been 26 back then.Here he is some 40 years on, vocally matured. but still achieving that emotion in his voice even though his register is not as high. Love this rendtion and its clarity and Neil's crisp guitar on this rendition of such an emotional song.I love the sound of Neil's voice now as well. @doc - 2010 LN tour. Thrasher, thanks for all that you do. 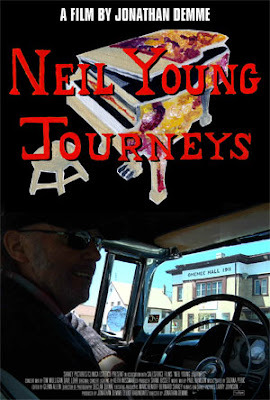 I can't wait for "Neil Young Journeys DVD" to be released. I was fortunate enough to attend both nights at Massey Hall.I check in here every day for what ever is next. A 2012 Tour sure would be great news. Doug S. from Warsaw N.Y.
Demme is a great fan driven by the same love & obsession we all have for this great musician! Demme is absolutely perfect at peeling away the layers and stuff that were real barriers into this man's psyche. Did you see this old clip of the Journeys premiere in Toronto? That would have been a trip worth it's weight in gold to be there. I remember reading some of the reports and reviews right here on Thrasher's Wheat! My guess is that the Trunk Show delay is the Record Company's fault but I'm preparing myself to not see it released until Archives IV or V ... laughs ... in 2030 or so ... Neil will be in his 80s ... I'm fully expecting he'll be shredding it as well as ever and as still 100% focused on putting out top quality archives releases come hell or high water ... really a shame though that its not available because that '07 tour was just epic and was a high point for an amazing band that enabled Neil to play songs from across his whole canon ... without Ben, now what?? Thrasher -- don't you mean the 2010 Twisted Road Tour? I think Neil answered that with "LaNoise" which was his way of breaking through the human sound of grief barrier to get away from everything that was weighing him down. Dan1, didn't you see the premiere in Toronto or was that Greg? @Powderfinger - yes, agree, 2010 Twisted Road Tour is more accurate. ps - specifically the Massey Hall shows. I saw the Trunk show in the theatre when it played and was blown away ... but would love to watch it another few times or more ... thought the movie captured the tour beautifully ... agree on your Le Noise comments seems like Neil figured out how to be the band himself ... but can't help but think the lack of touring now is related to his inability to find the obvious band choice (although I'd say it should be the Horse) and he'll come up with something but when?? He's proven he can do it himself both acoustic and electric but does he really want to be out there all alone? oops ... just to clarify and answer your question directly, saw trunk show in a Greenwich Village theatre when it played at select theatre's nationwide not during the premiere. "tar eating"...after a while it tastes like chocolate"
hmmm..I've just about eaten the road from out front of my place up to the corner shop!ya got me hooked Neil! Dan1, did you see the Chrome Dreams II tour? How does it compare? I've been listening to torrents of concerts and there were only two that I could actually feel the sound bouncing off the stage into the auditorium. I'm glad he's finally releasing films from his performances. The band from Chrome Dreams II were a class act during that tour so I imagine Demme captures that special esprit de corp on film, too.